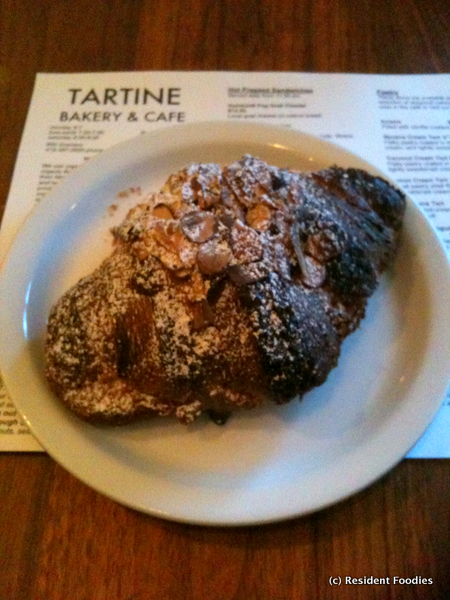 Resident Foodies say: Tartine Bakery in the Mission (600 Guerrero Street) in San Francisco is touted as one of the best bakeries in the U.S. Lines of people form outside Tartine on a daily basis, just to partake of Tartine’s breads and pastries. Chef Chad Robertson is pushing the standards of baking upwards! Our favorite so far is the almond croissant. The dark crust is baked to perfection. The almond filling inside is so comforting it should be criminal.